As anyone with children under five will know, Room on the Broom is a spellbinding adventure from the creators of The Gruffalo. Adapted for the stage from the best-selling book written by Julia Donaldson and Axel Scheffler, this Tall Stories production is a fantastic show for all the family to enjoy at the Lyric this December. Ideal for children aged 3 to 8, this is the story of a witch whose hat, bow and wand are blown away while she's flying along with her cat on her broomstick. 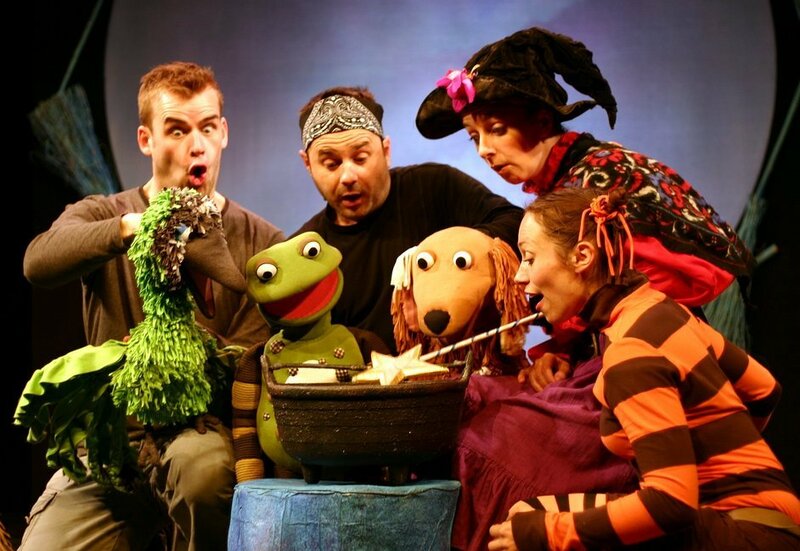 Enlisting the help of a daft dog, a beautiful bird and a friendly frog, the witch goes in search of her belongings. But with a hungry dragon looming, will there be room on the broomstick for the witch and her four companions? What are the best dining options near Room On The Broom London? Room On The Broom gyms, sporting activities, health & beauty and fitness. The best pubs near London Room On The Broom. Room On The Broom clubs, bars, cabaret nights, casinos and interesting nightlife. Where to have your meeting, conference, exhibition, private dining or training course near Room On The Broom. From cheap budget places to stay to luxury 5 star hotels see our deals for Lyric Shaftesbury Avenue hotels, including Every Hotel Piccadilly from 91% off.